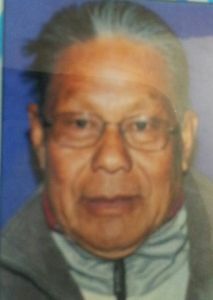 Chandigarh, 11th October 2014: Shri Rajkumar Sanatomba Singh, the Secretary to the Manipur Basketball Association and a member of the Executive Committee of the Basketball Federation of India, passed away in Chandigarh today morning at the age of 75. He is survived by his wife, four children and three grandchildren. Mr. Rajkumar arrived in Chandigarh on 5th October for the 31st Youth National Basketball Championship. He suffered a heart attack on his visit to Shimla a few days later and lapsed into a coma. He was brought to Chandigarh on 10th October 2014 and was admitted to the PGIMER Hospital in Sector 12, Chandigarh for treatment. He passed away today morning in the hospital at around 11.00 a.m.
Mr. Rajkumar was known as a kind, warm human being and provided over 30 years of service to the Basketball Federation of India. He graduated from the National Institute of Sports, Patiala in 1976. He was the longest serving secretary of the Manipur Basketball Association. The Basketball Federation of India and the Chandigarh Basketball Association organized a memorial service earlier today, where Mr. Rajkumar’s close friends in the Indian basketball community spoke a few words each about him and extended full support to Mr. Rajkumar’s family for their loss.